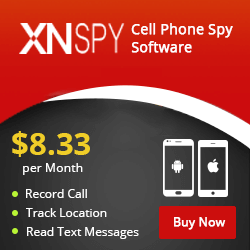 "You are advised that it is considered a violation of United States federal and/or state law in most instances to install surveillance software onto a device for which you do not have proper authorization, and in most cases you are required to notify users of the device that they are being monitored. Failure to do so is likely to result in violation of applicable law and may result in severe monetary and criminal penalties imposed on the violator. You should consult your own legal advisor with respect to legality of using the tracking software in your jurisdiction prior to downloading and using the software."